Environmental Assessment Services -- HKC & Associates, Inc.
HKC performs both Phase I and II Environmental Site Assessments as defined below. 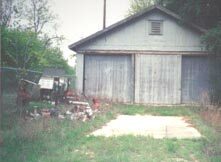 Fuel equipment at this location resulted in an environmental liability. In addition to the Phase I steps above, sites that had chemical storage facilities or used chemicals in their operations are further investigated to determine subsurface soil and groundwater conditions. This investigation gives the interested party immunity from environmental liability. If contamination is found above action levels, having the assessment performed will immune the purchaser's liability from past contamination, and protect the seller from any further contamination. 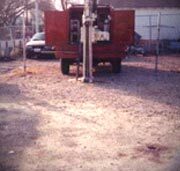 Subsurface Investigation is a cost effective method that protects the innocent while avoiding environmental liabilities and cleanup costs. Using a Geoprobe unit during soil sampling is a very efficient way to determine soil conditions at sites with suspected contamination. 15-18 points can be sample in on day. 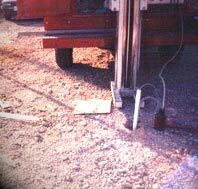 A fast, effective, and cost efficient method to determine groundwater conditions is to use a temporary well.